This vegan cheese has added probiotics and when left to age for a few days the tartness of the culture comes through. You’ll find it is fantastic with fruit! Soak the nuts for a few hours until plump. If you still need to peel them then soak overnight before rinsing and peeling them. In a blender add the nuts and the contents of the probiotic capsules to about ½ cup of water. Blend till you have a nice smooth paste. Add more water if needed, but not more than is strictly necessary to obtain a homogenous paste. Scoop the nut paste into a double folded nut bag and place it in a sieve or colander over a bowl. Apply weight to the cheese by covering with a plate and then a bowl of water so that it will exert just enough pressure to press the fluid out, but not so much that it pushes the cheese through the cloth. Leave it in a cool, dark place for up to 72 hours to develop the flavour and texture you want. 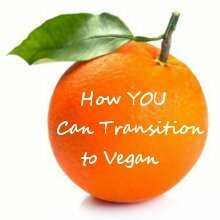 The longer you leave it the more tart it will become. When the texture is to your liking, empty your cheese into a large bowl and thoroughly mix in all the other ingredients (except the poppy seeds). Place a piece of plastic wrap in a bowl and scoop in the cheese. Press it down firmly and place in the fridge. 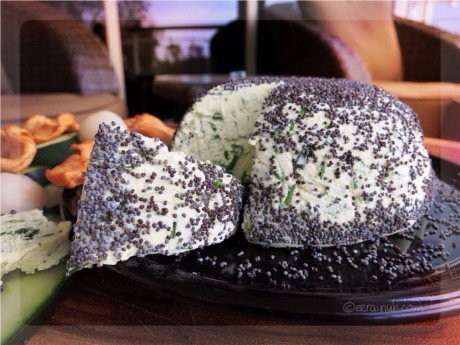 When the cheese has set, remove from plastic and sprinkle with poppy seeds. 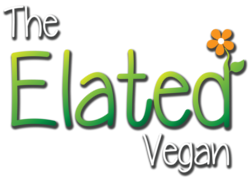 Keep your vegan cheese in the fridge. Enjoy stuffed in lychees and topped with a slice of olive, or sliced on biscuits with sliced apple for a delicious afternoon snack.